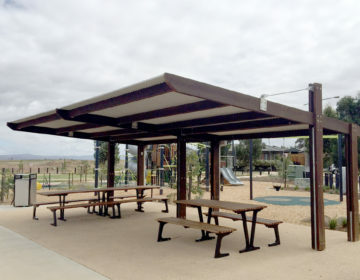 Due to its secluded location, security from two types of possible intruders took priority when building a restroom at Karana Downs, a western suburb of Brisbane. Members of Karana Downs Pony Club, who regularly gather at the Dumburra Park for their equestrian activities are the main beneficiary of the facility, but for most of the week, it is deserted. Landmark Products designed, built and installed the 24 m2 restroom for the Brisbane City Council (based on the Caretaker range), with hot-dipped steel security gates attached to every door to ensure after-hours security from vandals. The second possible intruder – wildlife such as snakes, lizards and possums which are prominent in the area – are kept out thanks to all walls being flush with the slab and seals to the bottom on every door. 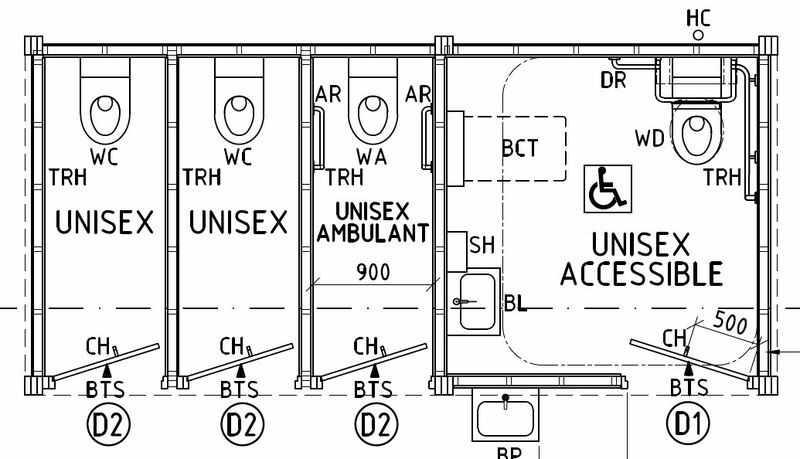 The building includes a 7 m2 unisex accessible cubicle complete with a shower, a unisex ambulant and a unisex standard cubicle. A service duct at the rear, also security gated, protects all toilet systems and allows for easy maintenance. Internal lighting is controlled by a movement censor, and external lighting is on a timer. A sandstone retaining walls is at the back of the restroom, which is on a sloping site.